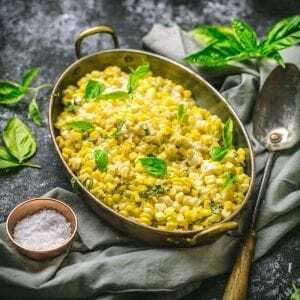 Easy Creamed Corn with Basil is a summer staple in our house. These sweet kernels are just barely simmered in a sauce made from silky mascarpone cheese, a little half and half and not much else. Add a sprinkle of fragrant basil and you’ve got a simple, supremely summery side! When summer corn is at its sweetest, it doesn’t take much to make it shine. A quick steam, a sprinkle of flaky sea salt, maybe a slick of good cultured butter is all that’s needed, and often not even that. But towards the end of the season our taste buds (and our teeth) need a break from gnawing kernels straight from the cob. That’s when we make this Easy Creamed Corn with Basil. Almost as quick as a simple steam, this method brings out the best in the corn, keeping the kernels crunchy, but bathing them in a silky, creamy sauce that’s the work of minutes. Our secret weapon here is mascarpone cheese. 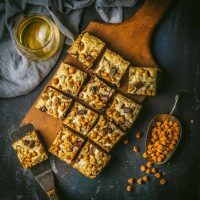 Mostly known as the creamy part of classic tiramisu, this Italian cheese melts beautifully and has a clean, mild flavor that highlights the corn’s sweetness. 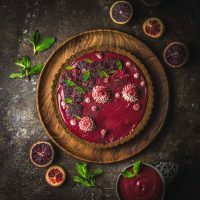 If you can’t find mascarpone, cream cheese is a perfectly good substitute, though it has a tangier flavor. The creamy, buttery corn doesn’t need a lot of embellishment but since we had it in the herb garden, I couldn’t resist adding some fresh basil. It’s another ingredient that I can’t get enough of when it’s in season. You can cut it into frilly little ribbons or just tear some leaves and stir them in at the end of the cooking time. Don’t add them too early or they’ll turn black. Everyone I know has a special trick to cut the kernels off the cob. Mine is this… are you ready cause it’s super complicated. Get a deep bowl, place a cob inside it and, using a sharp knife, slice downward so the kernels fall into the bowl. Ta da. Once the corn is off the cob, most of your work is done. Sauté some shallots and a little garlic, add the corn and cook it for a few minutes, just until it loses its starchiness. Then turn the heat down and add the half and half (milk would be fine, too) and the mascarpone and stir until the cheese melts and the sauce thickens. Season it with salt and pepper to taste and a sprinkling of basil and you’re done. 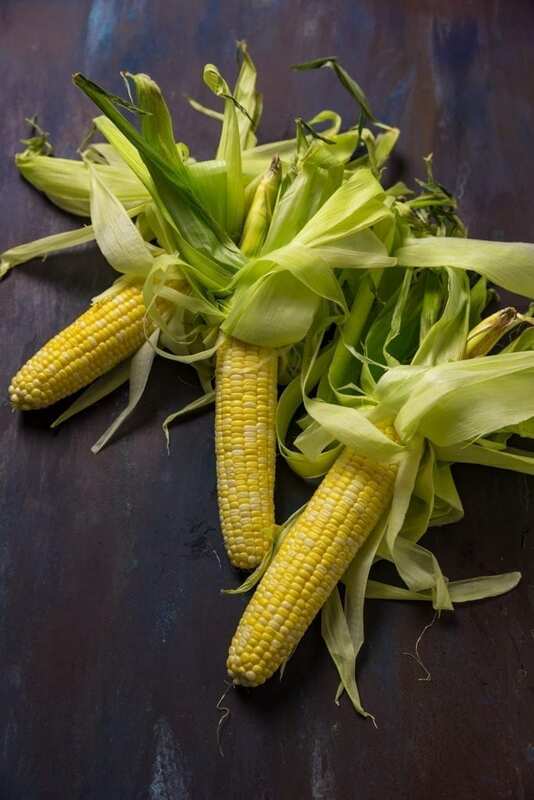 While nothing beats the flavor and texture of perfectly ripe summer corn, this would still be pretty damn good with frozen kernels. Don’t cook it as long because it’s already blanched. Just thaw it, toss it with the shallots until it’s hot and add the cheese and cream. While I could probably eat a bowl of this creamed corn and nothing else for breakfast, lunch and dinner, it makes a great side dish for any summer meal. Pair it with burgers or grilled shrimp. 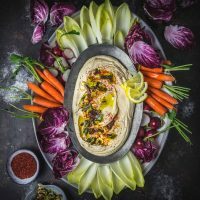 For vegetarians, it would be fantastic with balsamic grilled or roasted portobellos. Sometimes simple really is best. Hope your summer was a good one! Melt the butter in a large skillet set over medium-high heat. Add the shallots and garlic and cook until translucent, about 2 minutes. Add corn and cook, stirring often, until the corn is just cooked through, about 5 minutes. Stir in mascarpone and milk and cook until cheese melts and forms a sauce, about 3 minutes. Season to taste with salt and pepper. Turn of heat, stir in basil and serve. 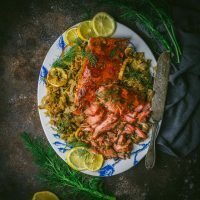 Very cool blog with some interesting recipes we would definitely try. 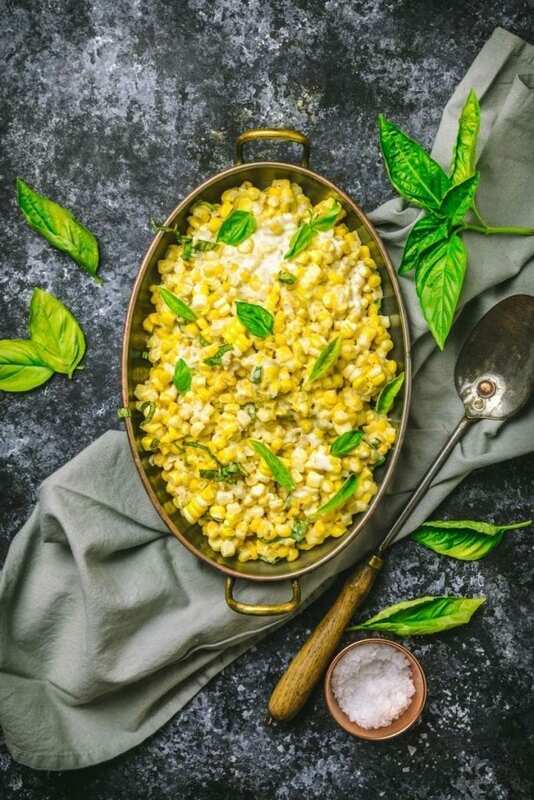 This creamed corn and your recipe looks like a must do, it is corn season from where we are and we will be lookijng forward to do this. Thanks so much! Hope you enjoy it.